My approach to back pain. The most overlooked cause of back pain. 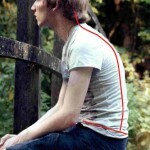 Most of us, at some time in our lives will suffer from back pain. For some people this pain is occasional and subsided after a couple of days. For many though, the pain is almost constant or just comes back again and again. The purpose of this post is to explain a little more about why some of us get back pain. I will also highlight how I can help you identify the cause of the problem and get rid of your back pain permanently. The first step when you are suffering with back pain is to see your doctor or a therapist (* i.e. a Chiropractor, Physiotherapist or Osteopath). Seeing your doctor or one of the aforementioned therapists is always the smart choice. Even if they are unable to fix your problem they can usually rule out more serious pathologies such as Lyme disease, kidney problems, infections etc (these are very rare). I often get new customers who come to see me with back problems. Some may only have occasional minor pain. Others may have been battling with the problem for years and sought help from a therapist (see above *). In some cases the pain dissipated after treatment. In others pain returned later or the therapist wasn’t able to fix the problem. This is not a fault of the therapist. Often, they were just not able to spend enough time with the patient. This makes it very difficult to get to the bottom of things or correct the problem. As a personal trainer this used to present me with a problem. How can I help this customer lose weight, gain muscle etc if every movement causes them pain? After all, I need a client pain-free so that I am able to do my job. Yes, I can refer to one of the therapists I know locally. But what if the customer comes back to me still in pain and the problem isn’t resolved? Do I tell the customer that I can’t train them, help them reach their goals or help fix their problem? Of course not..
Is the pain worse at certain times of day? When does it hurt? Does the pain follow any particular activity? What strategies have you tried to get rid of your back pain? Have you been to see anyone to get treatment and what was the result? I then move on to the actual assessment. Following this I check every major joint in the customers body and determine their range of motion in all the applicable joints. No one can ever accuse me of not being thorough! A structural abnormality such as a leg length discrepancy or bone deformity (pretty rare). A structural abnormality caused by a previous injury (again pretty rare). Hypermobility (increased range of motion) in a joint. This is particularly common following pregnancy. 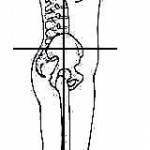 A muscular/soft tissue imbalance or joint restriction often around the hip, leg, pelvis, trunk or ankle. After ruling out structural abnormalities as best I can (tricky without an x-ray), I move on to helping the customer with their soft tissue and joint problems. 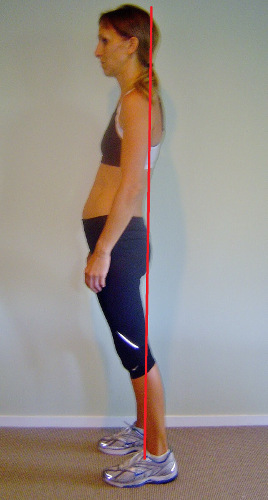 There is no point asking someone to stand up straight if their hips are so tight that they are unable to do so. Therefore, I start by helping the customer restore flexibility and reduce stiffness in the areas we have identified. You may notice that I mentioned flexibility and stiffness. These are two very different things. A muscle may have a normal level of flexibility, but if it’s all knotty and ropey it isn’t able to work very well. On rare occasions, I may feel that a customer would benefit from a joint manipulation. In such cases I may refer the customer to a local therapist. 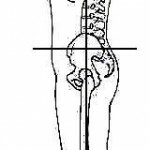 Often, restoring range of motion can get rid of back pain entirely. Once a normal range of motion has been restored we need to work on learning to controlling it. This can be broken down in too two parts, static posture and movement. Learning how to sit, stand, lie down or even breath properly is something we are never properly taught how to do. 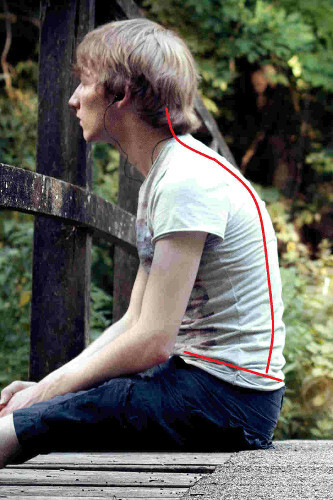 It might sound ridiculous, but I come across errors in people’s static posture on a daily basis. A lot of the time this is the main cause of their back pain. 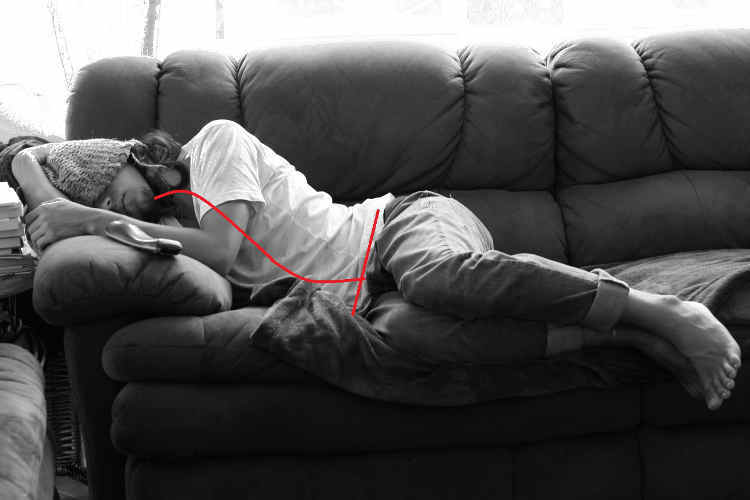 Once a customer knows what the proper static posture is they can begin to practice maintaining it. Standing up with your spine in a good neutral position is one thing. Learning how to move and keep it that way is another. There is no way of getting around it. 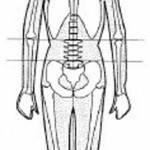 Learning how to become aware and move your body in an optimum way takes practice. 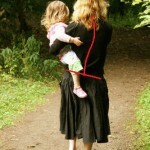 It takes between 9-18 months for the average child to learn to walk. It then takes several more years to truly master it or run efficiently. Unfortunately, most of us get stuffed in to chairs at age 4 and then spend most of our lives moving as little as possible. Re-learning how to move properly takes time and practice. This is the big one. Fixing all of the above is one thing, making sure it stays that way is another. Simply put, we become what we do! Nearly all the customers I see with back pain have a bad habit or two. Identifying the bad positions we adopt and breaking the bad habits is without a doubt the most important aspect of beating back pain. Rather than me waffling on, take a look at the pictures below and see if you can spot why some of these people may suffer with back pain. Back pain isn’t something anyone should have to put up with. I can’t promise to fix every problem I come across. I can however promise that if I can’t help you it won’t be for lack of trying. Note: Help beating back pain is built in to the service I offer in my private gym in Southampton. Please see my home page for details. I am unfortunately, unable to offer ‘one off’ assessments or help online.